This listing is for (1) glass vase that is wrapped in personalized Fishing Themed vintage artwork. 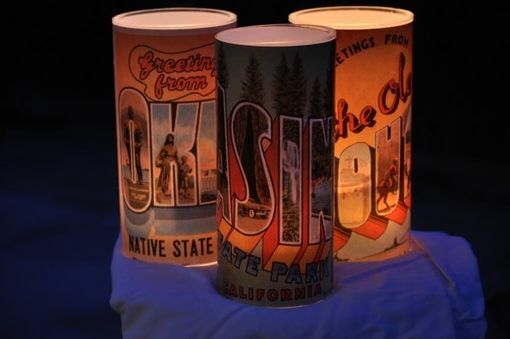 Just give us your personalized name and location and we'll add it to the artwork and customize these beautiful luminaries. 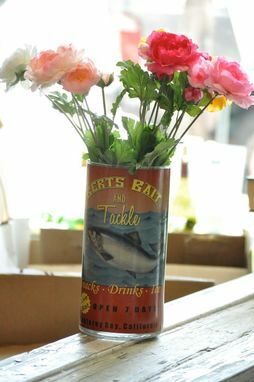 They can also be used as vases. 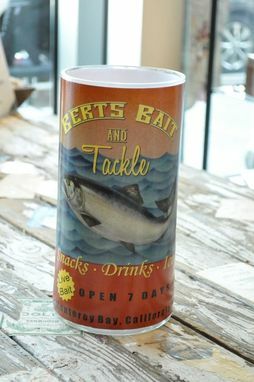 A paper print is adhered to the glass and sealed with two coats of polyurethane. 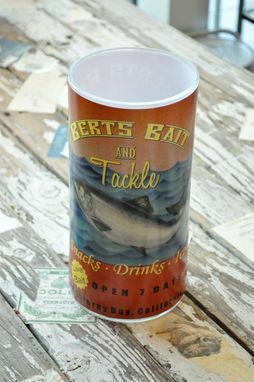 The vases stand 10" tall and are 5" across. Just drop 4 little tea lights into the bottom and watch it dance with light at night.